I’m always on the lookout for the best plans available. Occasionally, I see a new plan marketed with “great benefits” or “no waiting periods for major dental work” only to look at the details and find the “gotchas”. Do You Really Need Dental and Vision Insurance? Over the past 17 years as an agent, my viewpoint on dental insurance has changed. I used to think it was sort of a “wash” – you pay high premiums and get some decent benefits in return. Why not just self-pay/insure? After years of experience, I now understand the importance of dental health. There is a correlation between good preventive dental care and lack of serious problems, like root canals and gum disease. I often receive calls from people who need dental insurance ASAP due to a serious (and painful) dental issue. I explain to them that no dental insurance carrier will offer coverage immediately for major dental work. Would it be a good business practice to receive a $35 premium to pay $700 towards a crown or root canal? Then, the insured drops their plan after having the work done? That’s why carriers require waiting periods for full coverage. When you have dental insurance, you are more likely to see your dentist on a regular basis and prevent major dental problems. Also, there is clearly a link between good oral health and good overall health. I’ve read too much about this to believe otherwise. Do a search online and I think you’ll agree. A couple of websites to check out are here (Mayo Clinic) and here (WebMD). Earlier this year I wrote a thorough article explaining the ins and outs of dental insurance and dental discount plans. Click here to read that article. Towards the end of the article, I recommended two dental insurance plans. I still think the Humana “hybrid” plan is a good, low-cost alternative, it only provides discounts for major dental work, but has a good PPO network. However, this new dental, vision and hearing plan is different and better in some ways. If you understand your benefits and you’re proactive about getting care, then you can really benefit from this policy. In other words, your premiums can be less than the financial benefits you receive, even in years when you don’t have any serious issues. Check out the benefits in the bullet points below. No network affiliation so you can choose ANY dentist. You have a pool of money that covers dental, vision, and hearing (with no lower caps for vision and hearing). This money can be spent however you desire. 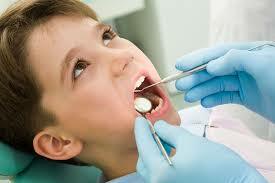 No waiting periods for preventive services, including semi-annual exams, X-rays, cleanings, AND fillings. Pays the percentage based on ACTUAL charges (minus the $100 annual deductible). This is different than most dental plans that only pay a percentage of “usual, customary and reasonable” (UCR) charges. This is usually a lot less than the actual charges. This pays covered expenses in addition to any other discounts or coverage. It does not coordinate care with other coverage. Who Can Benefit from This DVH Plan? If you are a Medicare beneficiary, then you know that there aren’t any dental or vision benefits offered through Medicare. If you are newly eligible for Medicare, then it is a little surprising to find out that Medicare doesn’t provide dental, vision or hearing coverage. Medicare Supplement (Medigap) plans do not offer this type of coverage. Some Medicare Advantage plans offer dental and vision insurance, but the coverage is limited. In the past, Medicare Advantage plans provided decent coverage, but this has changed in recent years. Now, dental and vision insurance are sometimes offered as a supplemental benefit for an additional cost. If you have glasses or contacts, then this plan can make a lot of sense. Since you have a pool of money each year, you can use it however you choose. Even if you don’t need the vision/hearing part of the plan, it is still better than other dental insurance plans. A lot of folks don’t like dental plans due to the narrow networks. You might have found that your dentist doesn’t participate in even some of the larger PPO dental networks. This plan allows you to see any provider. If they don’t file claims with insurance, you can do it yourself. It’s a simple process. The difference between “actual” rates and “usual, customary and reasonable” (UCR) rates is significant. Ask your dentist about the difference in charges. If you have any questions about this plan, please don’t hesitate to call us at 678-236-1600.